My favorite coleus is one I grew from seed several years ago. I call it Raspberry Twizzle. A progeny of several years of cross-breeding coleus in my garden, Twizzle is vibrantly hued, rippled, and boasting scalloped edges. The beautiful color is not guaranteed. The plants in the photograph above are all from the same mother plant. 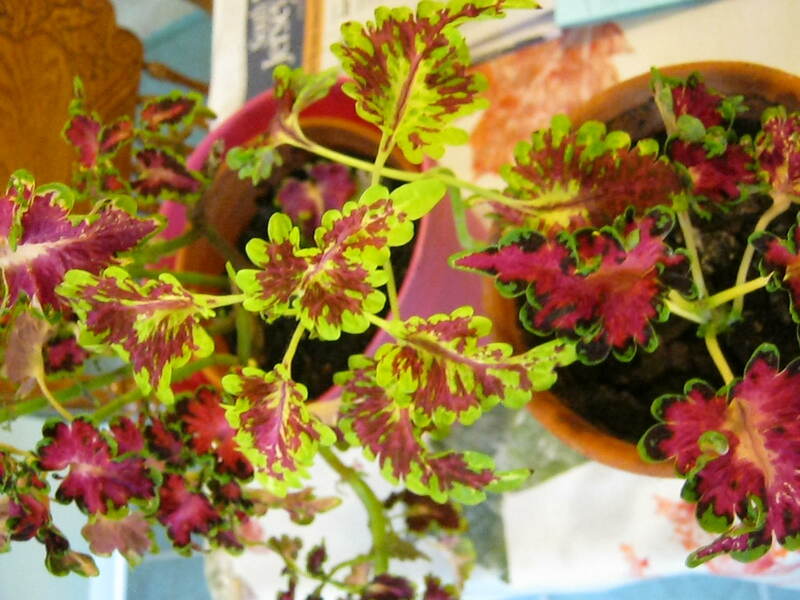 The reason for the lackluster color of the middle coleus: the wrong light conditions. Coleus grown indoors must have very bright morning and early afternoon light. If they are grown in too much shade their colors will fade, even though they retain their fancy frills and ripples. Strong afternoon light will have the opposite effect, and make for faded color. 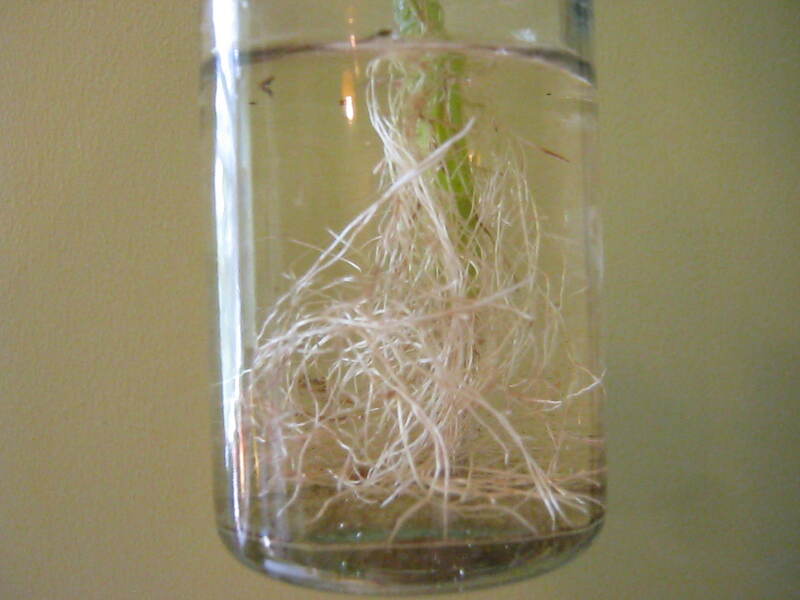 Coleus root in plain tap water. This cutting is only a few weeks old and is ready for planting. If you have coleus growing outdoors, bring a few sprigs in and keep your plants alive for planting out next Spring. Have to say, Kathy, you have truly been blessed with a green thumb. I’ve not always been as lucky in my prior attempts when I had house plants. Gorgeous plants.